Staple loves woodworking and has built several replica tools to help do it in as period a manner as possible. 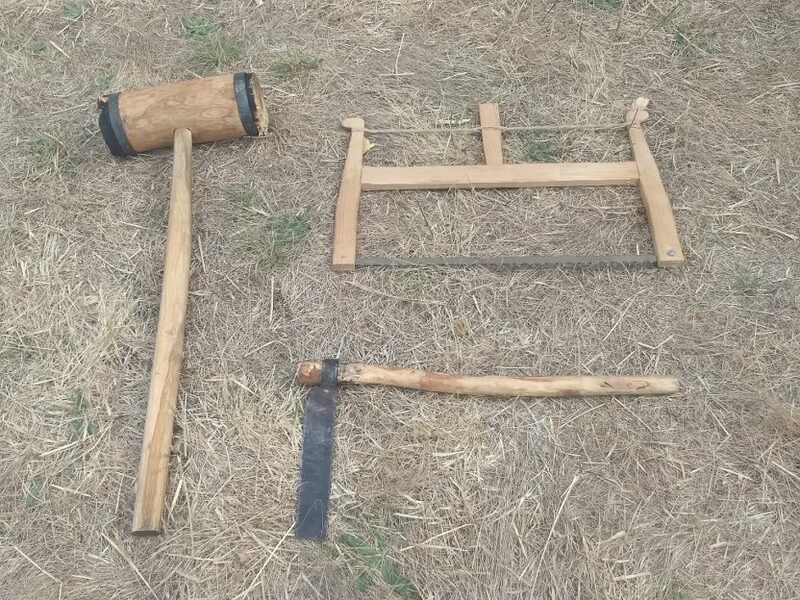 Our story begins with two tools. Not, as one might expect, two chaps of less than impressive wit (Rosencrantz and Guildenstern spring to mind), but rather two actual tools. As in, metal ones. Our first contender is the humble froe (left). Plain and simple, but of stout constitution, the froe is designed for riving (that is, splitting) boards or shingles from logs. It is made to be struck, embedding it within the end grain of a piece of timber, before being used to lever the new board away from the parent log. 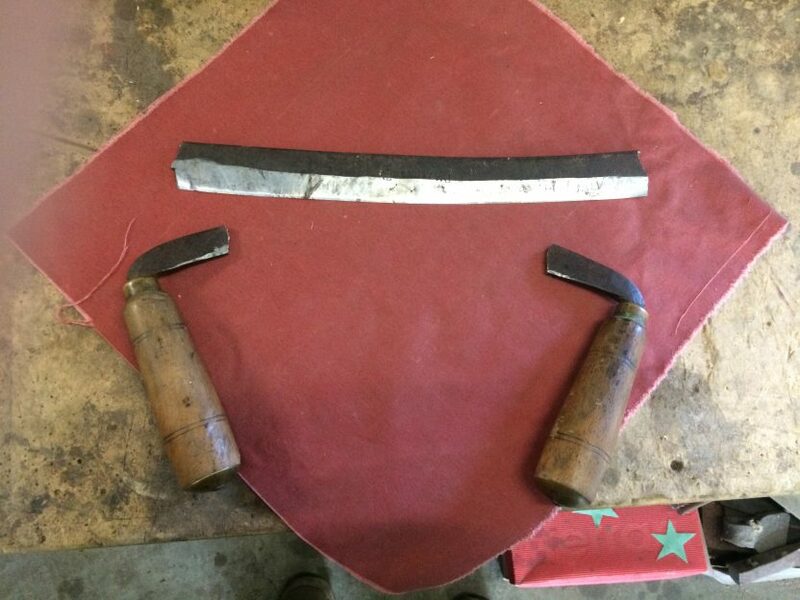 By contrast, the drawknife (right) is keen and nimble, made for shaving timber pieces to shape and size.